Constipation amongst our elderly loved ones is a prevalent issue. In fact, according to some studies, nearly 20% of elderly citizens living in communities and up to 50% of elderly living in nursing homes suffer from it. Some seniors may be reluctant to discuss their issues of constipation. As caregivers and family members, it is our responsibility to help our seniors deal with this uncomfortable and possibly health threatening issue. There are several factors that can cause older adults to have difficulty having bowel movements leading to constipation. Factors such as: many medications, reduced intake of fluids and fibers, as well as increased intake of fluids and fibers. 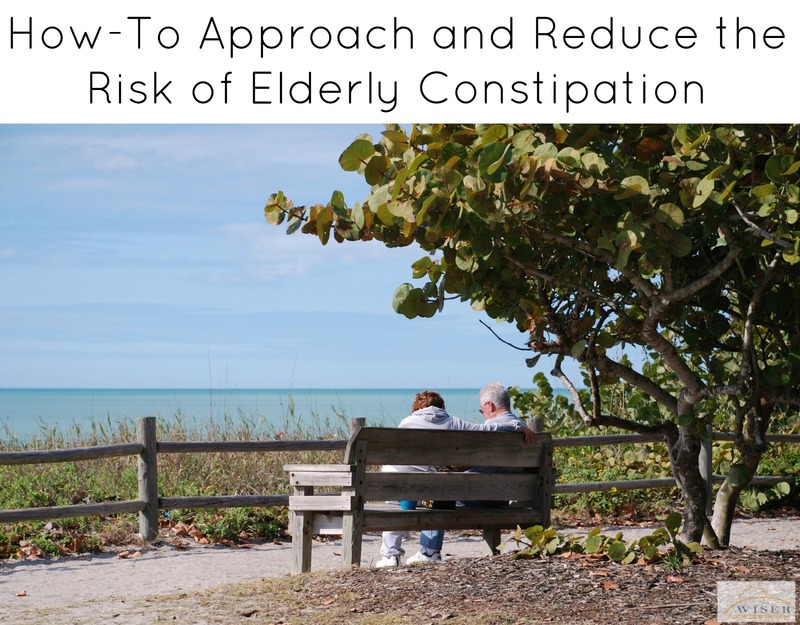 The following are some tips from the Wiser Home Care Services caregiver staff to help reduce your or your elderly loved ones risk of constipation. Make sure you or your senior is getting enough fluids. Drinking at least 3-5 12oz glasses of fluids is recommended. Fluids can be juice, water, teas, etc. Try to avoid caffeinated drinks. If water isn’t appealing, try putting lime, cucumbers or lemon in it to add some flavor. Also, crystal light and other manufacturers have come up with flavors that you can choose from and squirt directly into water for added flavor. Have a number of these on had for your seniors to choose from and if possible use themselves. Getting enough raw and cooked fruits and vegetables also helps in aiding normal bowel function. If your client is mobile, encourage them to walk, dance, or participate other physical activities. Finally, if none of these help and you or your elderly loved ones feel the need to use an over-the-counter fiber aide or stimulant, such as laxatives, please consult a physician before using. If you still have questions and concerns about how to help your elderly loved one with constipation please feel free to contact us. We can help your family establish a care plan to personally accommodate your loved one needs.